Next 26 Mar. 2014 at 12:36 UT, the Potentially Hazardous Asteroid (143649) 2003 QQ47 will reach a minimum distance from the Earth of about 18 millions km. This is a very safe distance, so no risks at all for our planet. It will be a nice opportunity to spy this 1.5 kilometers large asteroid moving across the stars.Soon after its discovery, 2003 QQ47 received lot of attention from the media, because of a very small impact probability, soon ruled out by new observations. As usual with these asteroids, the Virtual Telescope Project will offer a live, online event sharing real-time images of 2003 QQ47 with live commentary by our scientific staff. The online, free session is scheduled for 26 Mar. 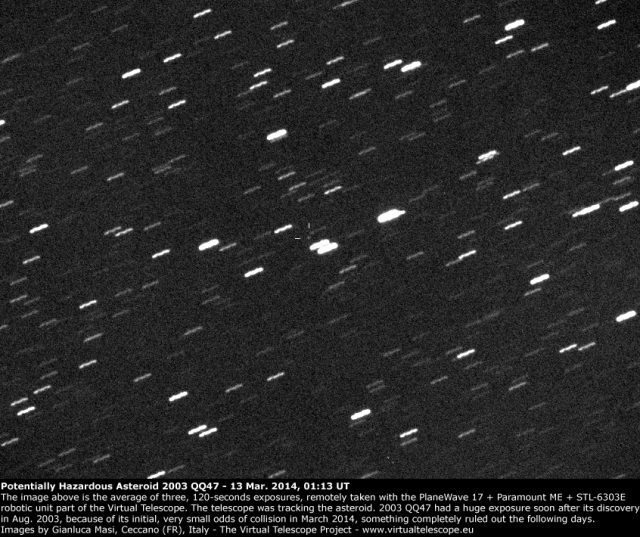 2014, starting at 19:30 UT. To join, you just need to enter, at the date and time above, our webTV page here! 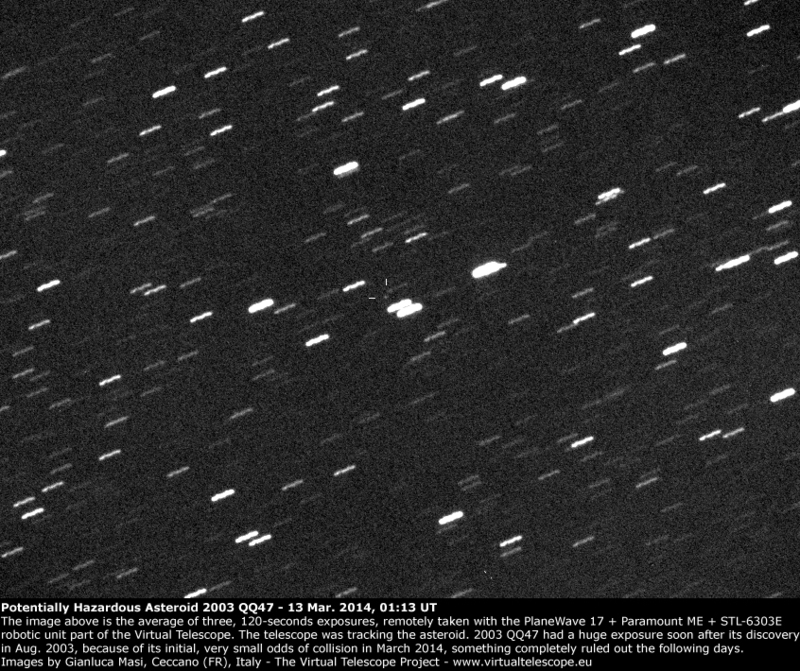 Near-Earth Asteroids: some images and videos from the Virtual Telescope Project for Asteroid Day.